If you are anything like myself, you thrive for inspiration that speaks to your soul. Whether that be from a beautiful quote, a decadent glass of wine, or a piece of artwork, I want to feel spoken to and use it to manifest my creativity and personality. I feel the same way about design and all its rough edges. 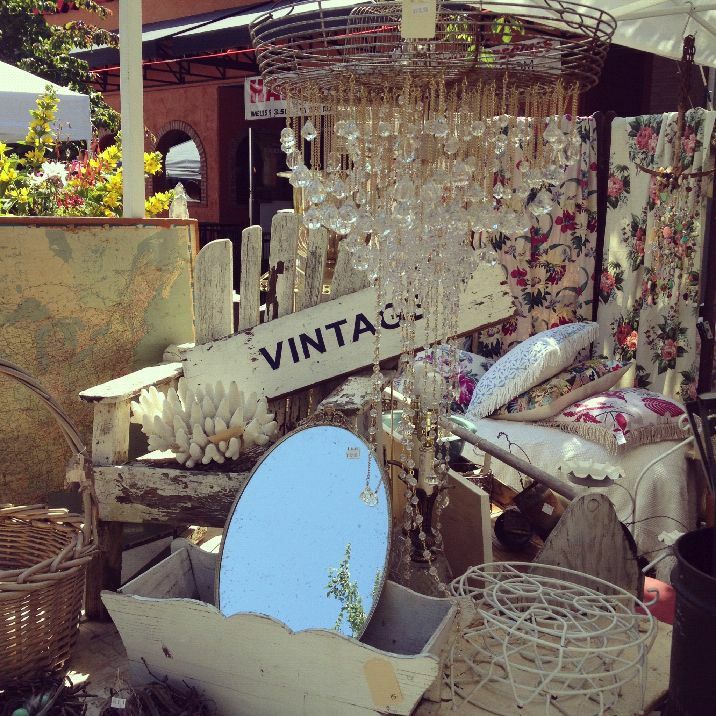 Recently, shabby chic has taken over and everything you see in department stores is labeled “distressed” or “vintage”. It was made in 2013, and you call it “vintage”? I’m all for a decorative accent loaded with rust, but I don’t want to pay retail prices for something I can go dig out of my granddad’s barn. So, I’d like to take claim over this rustic chaos and bring some fresh ideas to your coffee table that will send your senses into forgotten times of nostalgic bliss. Your local flea markets are where we will start given the nature of our title. 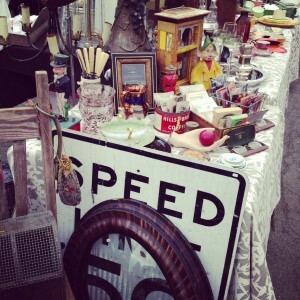 Market finds are hit or miss – BUT every time you go, you will always see something unique & different. I try to go every other weekend. Bring your kids along and teach them the fine technique of negotiating price. I’ve gotten into a bad habit of buying everything I see…now my garage is full and my fiancé has been booted out of his man cave. For my tech savvy shoppers, Etsy – an online store where people just like you hand make items for sale – may spark your techy fingers more. It’s truly a fabulous site! You can find anything from genuine vintage items, hand made jewelry, home décor. Some “shop owners” will even create custom orders just for you! Most of everything you see on the site is one of a kind, and typically all shop owners are extremely professional, so if you are worried about the credibility of a product – simply email the owner, and they respond right back! Now, for my 3rd and final shopping destination – you are going to be shocked. Or you won’t be and that’s okay too. Take your buggy down the aisles of your own garage! Or even try a neighbor who is dead set on staying OUT of that neighborhood/community yard sale. See that old lamp over there? Grab it. What about that scratched and rusted mirror in the corner? Scoop it up too! With just a simple scrub & clean, a fresh new shade, and a little bit of elbow grease, you’ve got shabby chic décor instantly – and all for just the price of your time! To me, the more odd, colorful, or quirky the piece – the BETTER! Bringing fun and unique items into your home makes you happy, and makes a bold statement that screams (your name). And who doesn’t want to have a interesting space that leaves guests entranced?